Barbara Barry Curtain Call by Wedgwood. In honour of the tabletop market going on right now in New York, today I'd like to talk about teacups. Tabletop market is a twice-yearly event that takes place at 41 Madison Ave., a magnificent Manhattan office tower filled with showrooms for all of the world's top tabletop manufacturers. 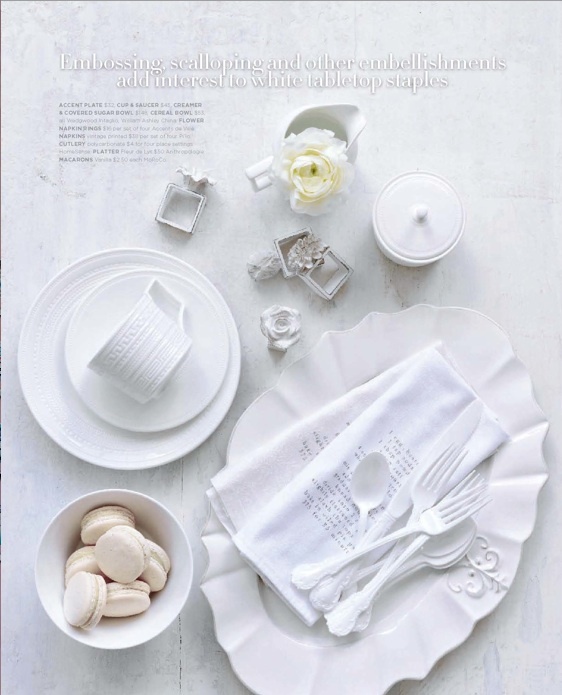 I have visited the Wedgwood showroom there, though have never attended tabletop market. I'd love to. I adore all things tabletop. Now, about the teacup. I always judge a china pattern by its teacup. The shape's the thing. Here's my bias: Just say no to tin can teacups! Give me curves, tapers, trumpets. 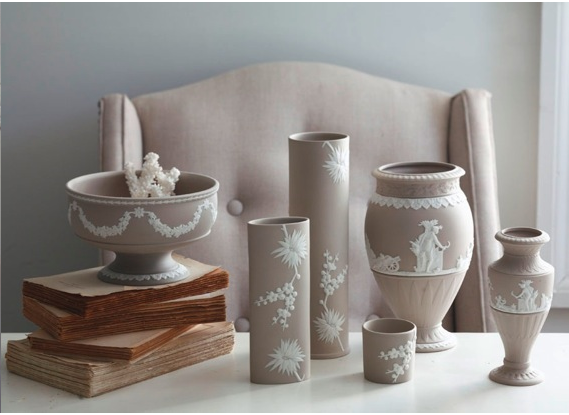 Above is one of my favourite shapes - Wedgwood calls it the peony shape. Deep curved bowl, delicate footed base, flared rim and elegant curved handle. Love. Above is my wedding china. It's Alice by Royal Doulton. Here's another shape to love. Not as much flourish as the one above but still a lovely little foot and a classic trumpet shape bowl. Intaglio by Wedgwood. At first glance the sides of this cup look straight, but no, there's an ever so subtle taper to the sides, and the incredible angular handle elevates this to the realm of the desirable in my mind. The embossing detail is all the embellishment this cup needs. I first fell for this pattern when I used it when styling this photo a couple of years ago. Photographer Edward Pond and I worked on this together - one of my favourite shoots. And finally, below an example of the offending tin can teacup. Please, don't serve me tea in one of these. I'm told the shape has become ubiquitous thanks to the increasing role of men in the decision-making process when choosing wedding china. So sad. These opinionated men want to have a say, but aren't secure enough in their masculinity to hold on to a curvy cup - or even own one. Please. Thanks to them, we get this. Fine bone china made into the shape of a can of Coke. I weep. 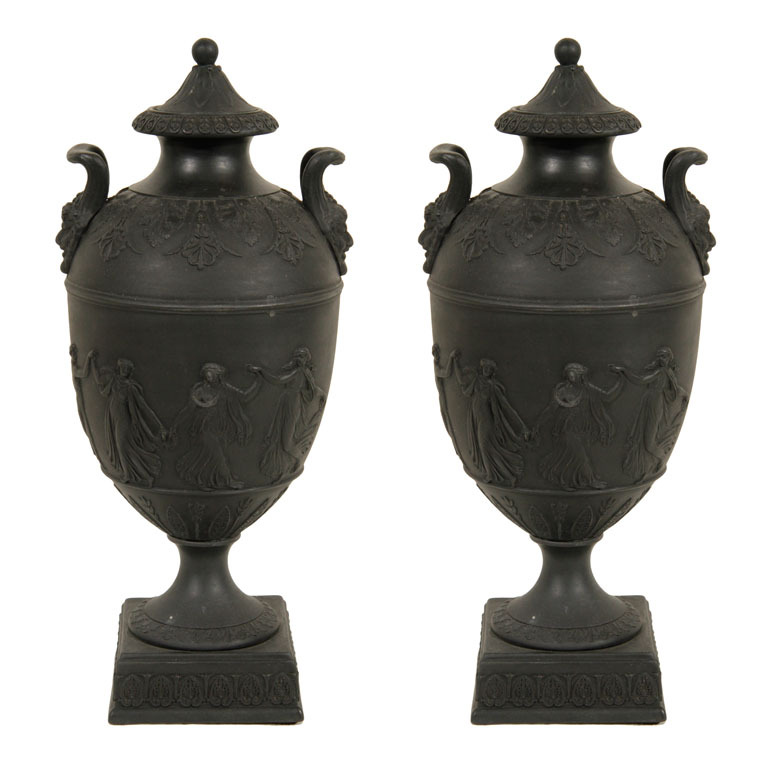 There was a sharp intake of breath when I laid eyes on these -- 19th century basalt covered urns by Wedgwood, available for sale from Bardith, Upper East Side mecca for vintage Wedgwood and other tabletop goodies. Oh, imagine what life would be like if I owned these! Today I am at home with Wedgwood. 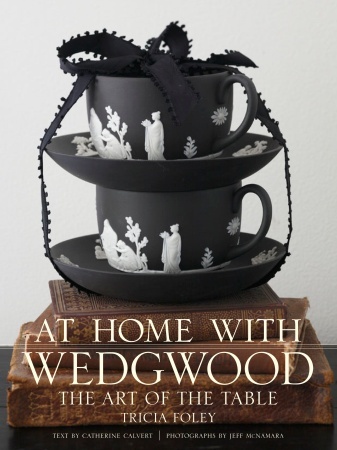 Well, at this home I have only a couple of pieces of Wedgwood but what I do have, finally, is my copy of the new book At Home with Wedgwood by Tricia Foley and signed by Lord Wedgwood himself. I had full colour proofs of the book months ago for a story I was doing, but there really is nothing like cracking the spine of a brand new book with gorgeous photos and such a rich story (take that Kindle and Sony Reader). I can't wait to devour it. When Lord Wedgwood was in town for a luncheon to celebrate the book and the anniversary of Wedgwood I was captivated by his beautiful family signet ring and his cufflinks. I took a photo. I don't think it really turned out, but it does remind me of the importance of detail. Detail is so important in matters of style. Carefully considered details elevate the whole. I am so impressed by the talent of those who are masters of detail. Have you met Tricia Foley before? If not, allow me to introduce you. She has a new book coming out soon called At Home with Wedgwood. Here's a taste of the book and her beautiful work. Visit her website here.